Driving while intoxicated or “DWI” is a harshly prosecuted offense in the Galveston, Houston, and League City area. 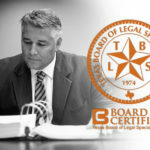 If you feel you’ve been unfairly accused of a DWI offense, articles in this section will educate you on the atmosphere in Texas for DWI offenders. 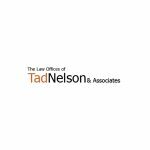 Informative blog postings from one of Houston’s top DWI lawyers, attorney Tad A. Nelson of the Law Offices of Tad Nelson and Associates. Information in this category is strictly related to drunk driving charges.